Tamil translation services can prove to be very useful for your company if you are thinking of expanding your business to Tamilnadu, Sri Lanka, or Singapore. Obtaining the necessary certifications and licenses, opening business bank accounts, getting the company registered are a few formalities every organization will have to complete in order to do business in a new state or country. However, not knowing the language can pose a huge barrier when it comes to communicating with your target audience. A Tamil professional translation service can eliminate this barrier to a very large extent. Always look for translation services that hire expert linguists. Such professionals will have the ability to understand the context of your content and translate it in an understandable manner. If you are low on budget, you would do well by looking for a cheap and reliable translation service. Short list a few such services and compare their rates and terms before making your decision. If you need the convenience of placing orders and getting your deliveries whenever you want, you should ideally look for a Tamil language translation service that offers 24 hours services. Also make sure they cater to urgent requirements and provide next day and same day services. As a company you may have different kinds of content to be translated into Tamil. Hence look for a company that offers different kinds of translation such as medical, academic, technical, financial, legal, and Tamil certificate translation. Also make sure they accept audio and video files in various formats such as MP3, MP4, WMV, AIF, M4A, MOV, AVI, VOB, AMR, WMA, OGG, and WAV. Rephraserz is a translation service that has been offering high-quality, accurate Tamil translation services to businesses worldwide, at affordable rates. As a certified translation company, it has a team of expert linguists to make your communication easy, understandable, and hassle-free. 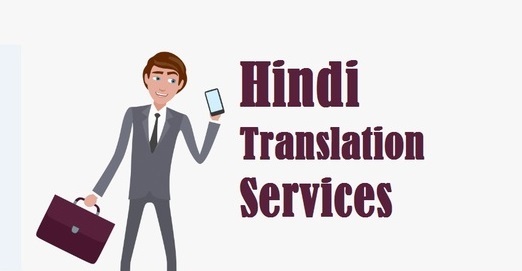 Hindi translation services are something you should start looking for, if you want to localize your business for your north Indian target audience. Apart from India, Hindi is also widely spoken in countries like Bangladesh, Nepal, Uganda, Fiji, South Africa, and USA. With more than 350 million native speakers, Hindi is regarded as the fourth most commonly spoken language across the world. When looking for a Hindi professional translation service, it is important to seek one that can adapt your text to the specific market instead of focusing only on the literal translation. This would require expert linguists who have the capacity to understand the exact context of your content and translate it in a way that reads naturally to the native Hindi speakers. Look for a service that also provides localization and interpretation services along with translation. You may want to look for a Hindi language translation service that is cheap and reliable if you have a lot of content to be translated. Make sure they stick to high standards of quality and accuracy as price is not the only deciding factor. A Hindi translation service that offers 24 hours services should be your choice if you need the convenience of placing the orders whenever you want. This way you will not face any problems even if you are in a different time zone. Time is money when it comes to business. Hence look for a company that caters to urgent translation requirements and provides next day and even same day services. A translation service that offers various kinds of translation including legal, technical, financial, academic, medical, and Hindi certificate translation would be ideal if you have different kinds of content to be translated. Also make sure they accept audio and video files in different formats such as MP3, MP4, WMV, AIF, M4A, MOV, AVI, VOB, AMR, WMA, OGG, and WAV. Rephraserz is a trusted name when it comes to quality and accurate Hindi translation services. Being a certified translation company, we put in all efforts to ensure your communication with your target audience is easy and understandable. 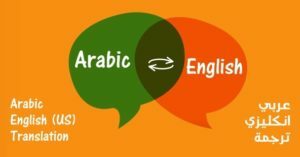 Arabic translation services are something that can help you immensely if you are thinking of establishing your business in any of the Arabic speaking communities. 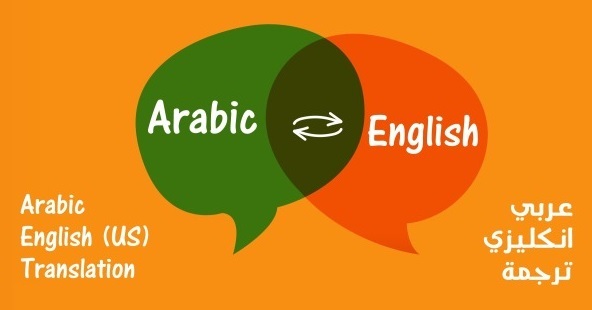 An official language of 24 countries, Arabic is spoken by more than 400 million people worldwide. It takes a lot of planning and influential connections to start business in any of the Gulf or Middle-Eastern countries. However, not knowing Arabic can establish a huge communication barrier between you and your target audience. To a great extent this barrier can be eliminated by an Arabic professional Translation service that also provides localization and interpretation services. While an interpretation service can help you hold meetings with your prospective investors or clients and close deals, a localization service can make it easier for your new target audience to accept your company as one of their own. When it comes to establishing business in a country that is new to you, both these services can be immensely beneficial. Quality translation is one thing you have to look for if you don’t intend to see any errors in your translated documents. Make sure the company you choose is cheap and reliable and one that provides accurate translation services. Companies that belong to different time zones might find it easier to choose Arabic document translation companies that offer 24 hours services. This way they can place their orders and get their deliveries at their convenience. Look for a company that has experts to deliver different types of translations including medical, legal, academic, technical, financial, and Arabic certificate translation, as per client requirements. They should also accept audio and video files in various formats including MP3, MP4, WMV, AIF, M4A, MOV, AVI, VOB, AMR, WMA, OGG, and WAV. To get your urgent requirements fulfilled, you may have to look for translation services that provide same day or next day services. If you are looking for quality Arabic translation services at affordable rates, Rephraserz is one name you should consider. A certified translation company, it can help you communicate your message to your audience in an understandable and intelligible way.